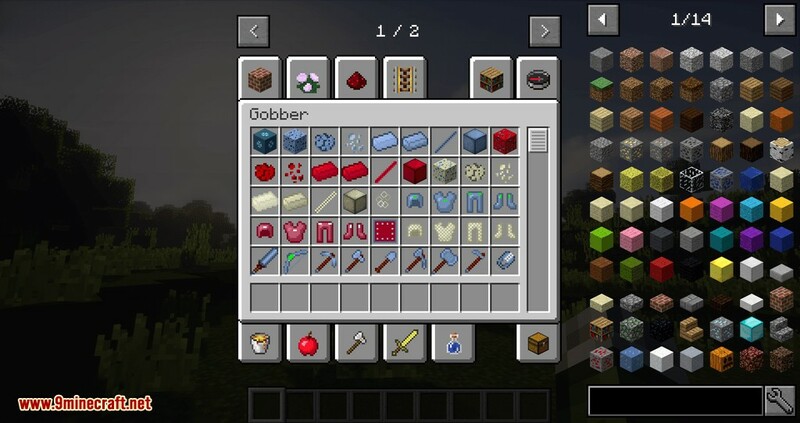 Gobber Mod 1.12.2 contains an array of powerful tools, weapons, and armor with special abilities. The Grings and Gaffs provide players with a variety of movement, combat, and utility perks. The Area Defense blocks are a great way to protect your builds or bases from unwanted mob attacks and damage (e.g. pesky creepers). 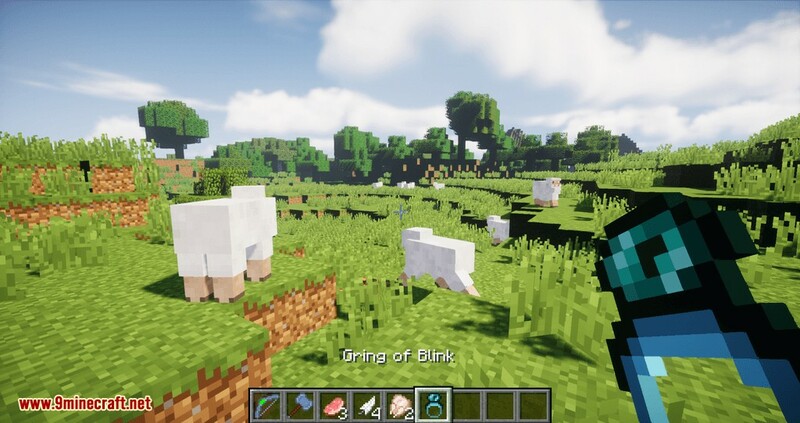 A great choice for adventure modpacks and servers. 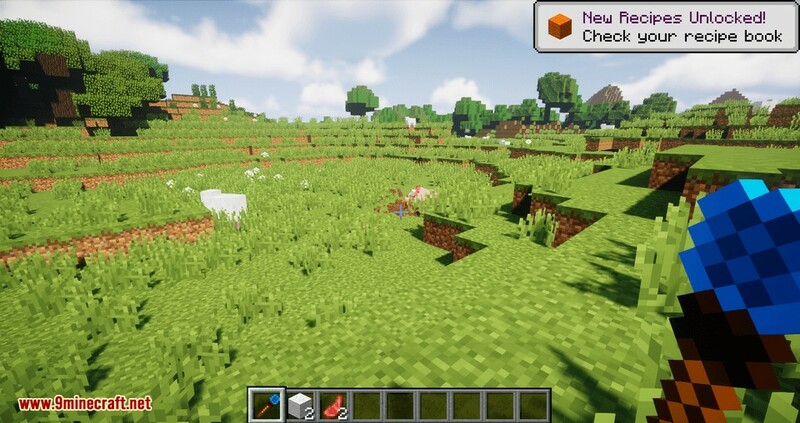 The key material for this mod is called Glob, which can be obtained in three ways. 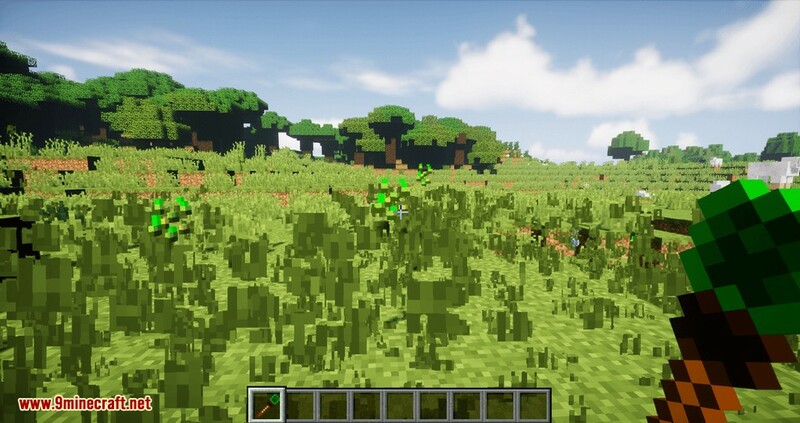 Growing – Globettes can be obtained as a rare drop from grass, which can be crafted into a Glob Seed and grown on vanilla farmland. Globettes can be crafted into Globs as well as Glob Seeds. 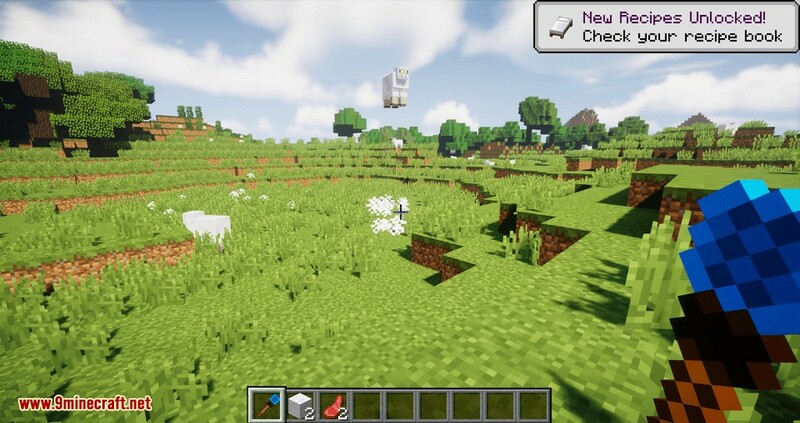 Globs can be obtained by conversion of hostile mob life essence with the use of the Converter block. 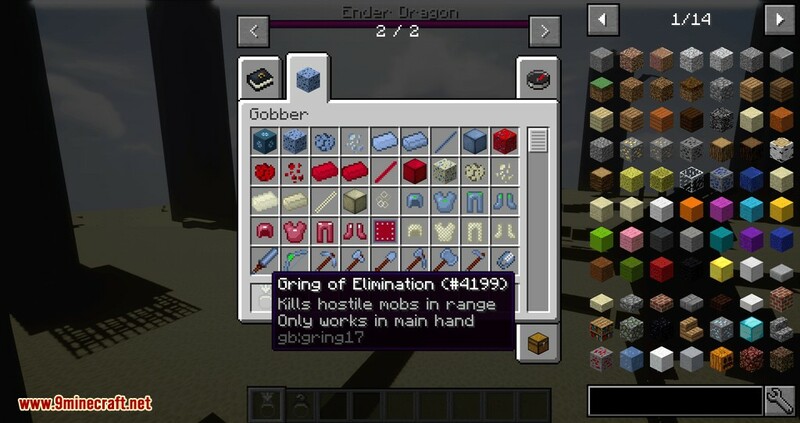 The Converter block will produce Nether Globs if it is used in the Nether and End Globs if used in the End. 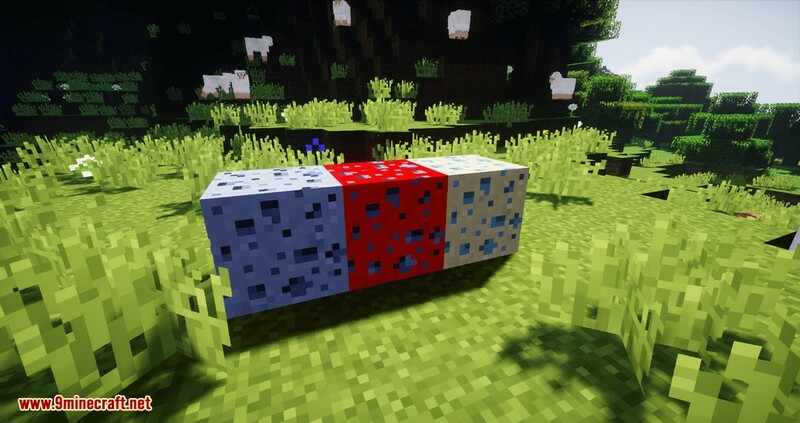 Nether Gobber Ore and End Gobber Ore are obtained by silk touching regular Gobber Ore and placing it in the Nether and The End respectively. It will drop Nether Globs or End Globs if mined in the normal fashion. 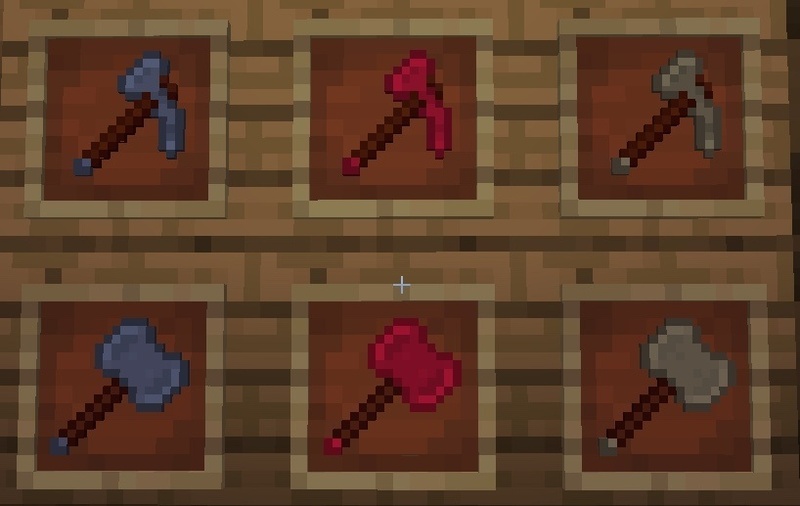 The next step is to make some ingots for crafting. 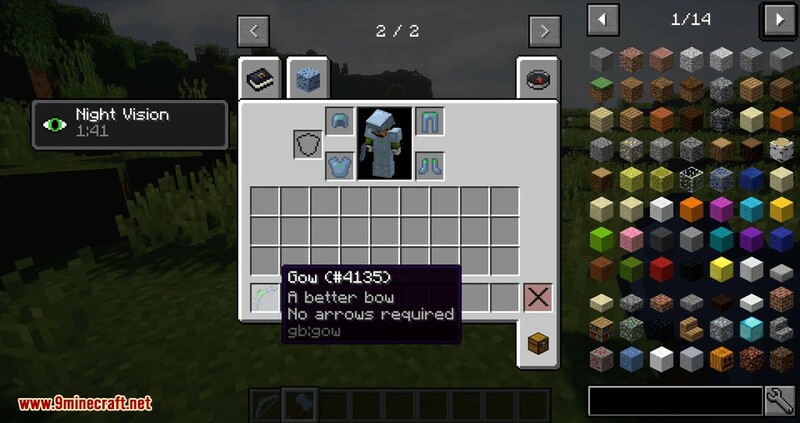 Crafting – To make Globots, you will need to craft a Glob with an iron and gold ingot and a diamond. This results in (3) Raw Globots. 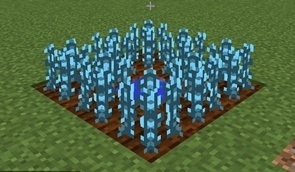 For Nether Globots, use blaze powder instead of the diamond. End Globots require blocks of diamond, iron, and gold. Smelting – Simply smelt a Raw Globot and get a regular Globot, ready for crafting. Gobber Ore – a fairly rare ore found between y=20-30 which drops Globs. 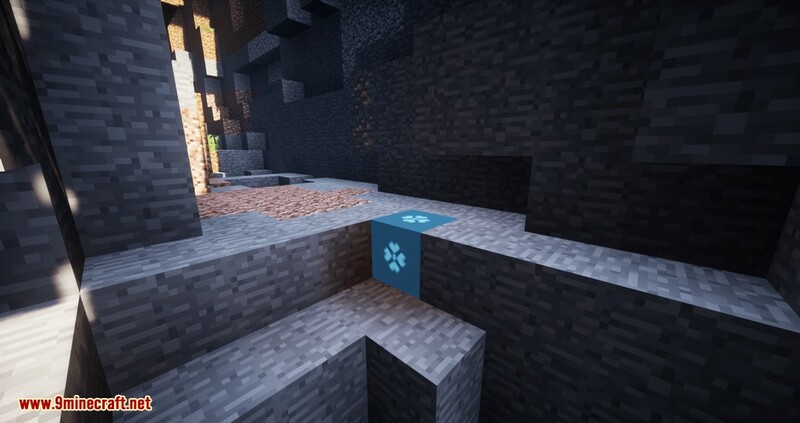 The ore throws light so it is easier to find in caves. 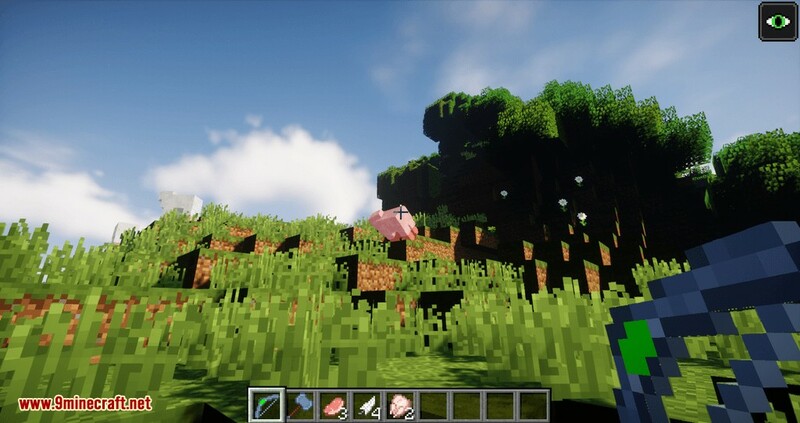 Nether Gobber Ore – not found naturally in worldgen, but created by placing a regular Gobber Ore in the Nether. Drops Nether Globs when mined. 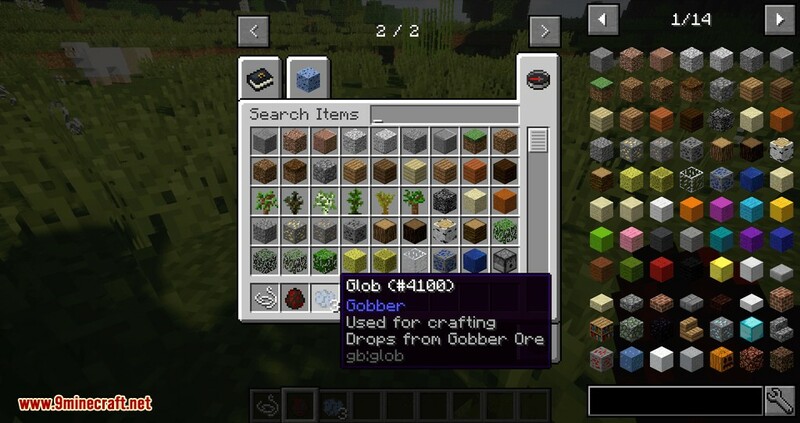 End Gobber Ore – not found naturally in worldgen, but created by placing a Nether Gobber Ore in the End. 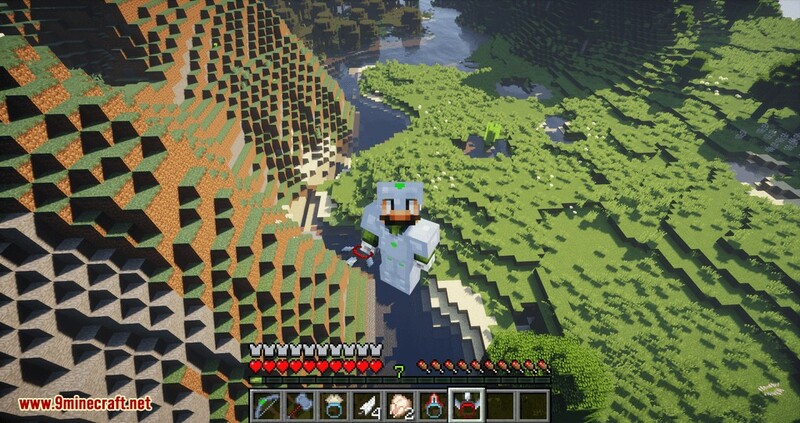 Drops End Globs when mined. 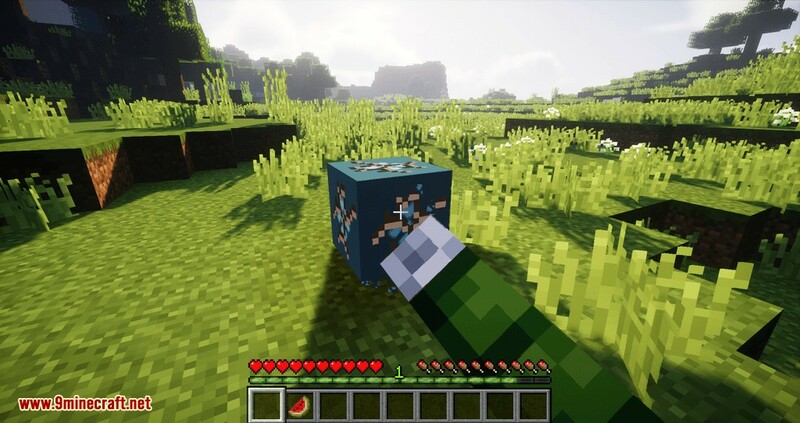 Glucky Block – a fairly common block found between y=55-110 which drops random loot when broken. NOTE: End Globot versions of the tools & weapons are unbreakable and a bit more expensive to make. 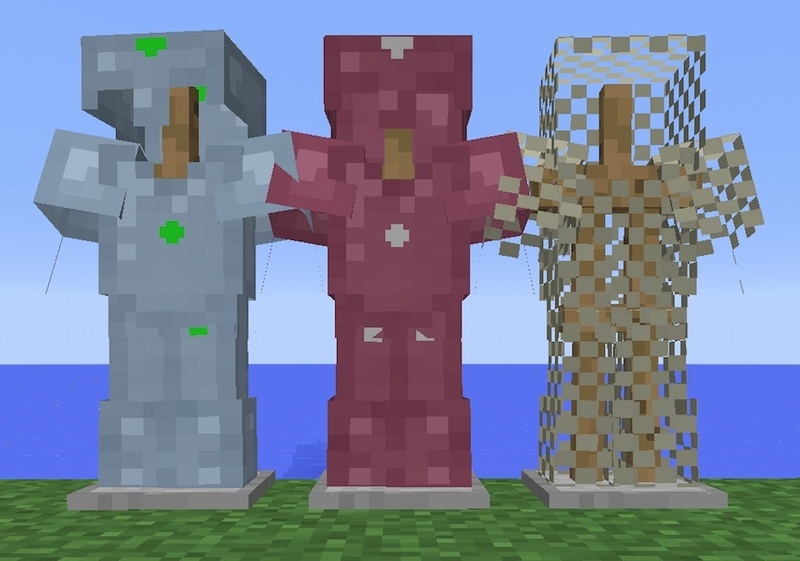 Three different types of armor to make, the chainmail is unbreakable and all three have special abilities. Take note the unbreakable armor set will require (84) End Globots and (6) Nether Stars in total. 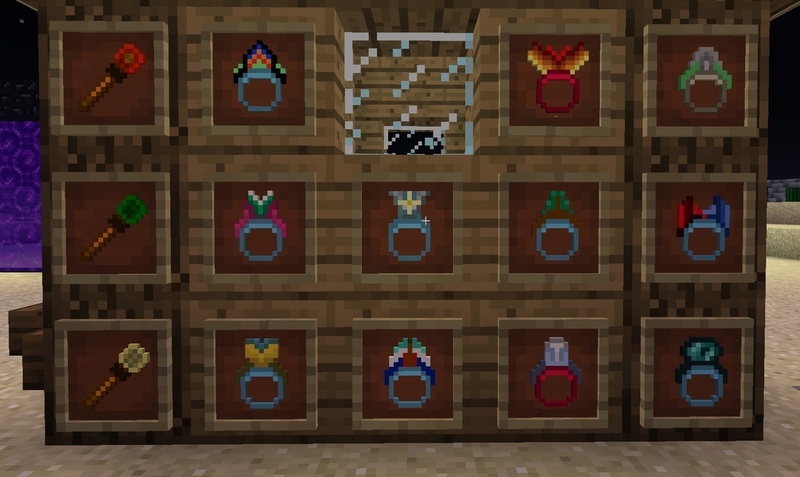 End Garmor Chestplate – water breathing and fire resistance in the overworld, fire resistance in Nether and creative flight while in the End. Gring of the Traveler – provides a large vertical ascent, forward acceleration, and No Fall Damage. Aim high and hold the right-click for really large boosts. Gaff of Clearing – clears out grass, flowers, and ferns with a right-click. Sneak right-click will clear leaves from nearby trees. 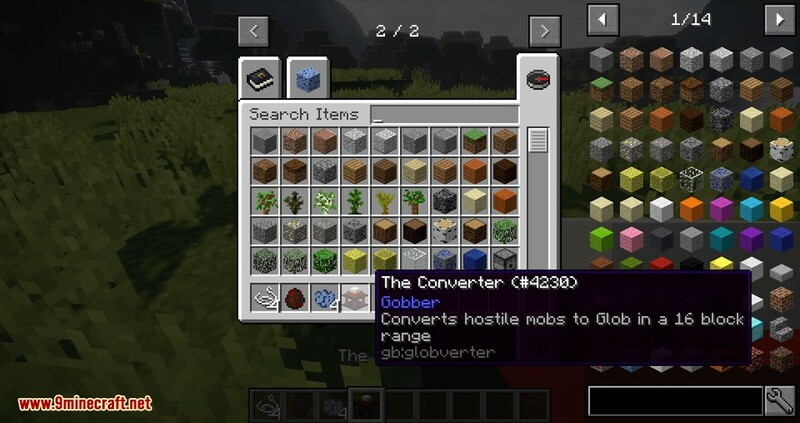 Converter– both a defense block and an easy way to collect Globs from hostile mobs within a 16 block range. If placed in the Nether, it will collect Nether Globs. If placed in the End, it will collect End Globs. 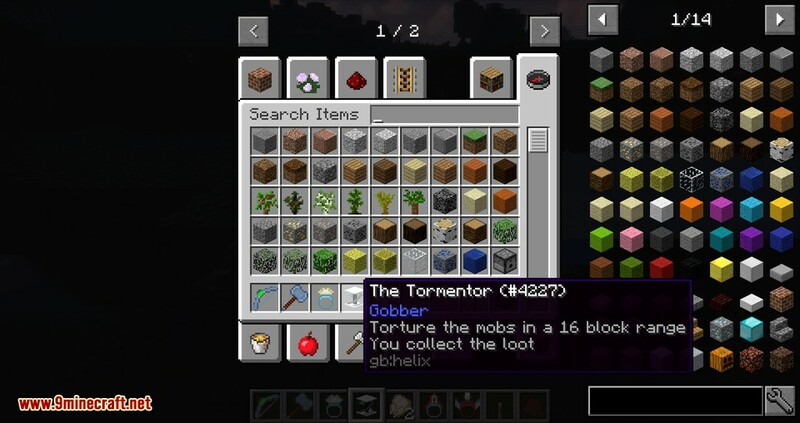 Imparter – When placed in the Nether, this blocks kill mobs in a 64 block area and spits out the XP only. 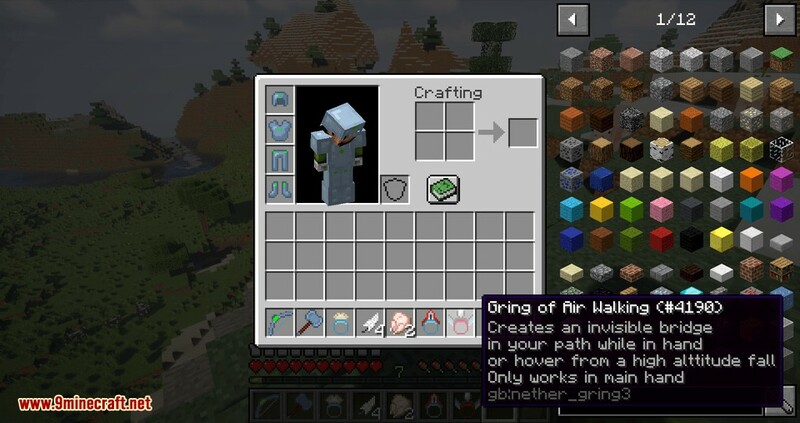 Also works in the End, but use cautiously due to the spawn rate of Enderman in the End. Raw Globot – a proto-ingot made from Glob, Diamond, Iron Ingot, and Gold Ingot in a crafting table. 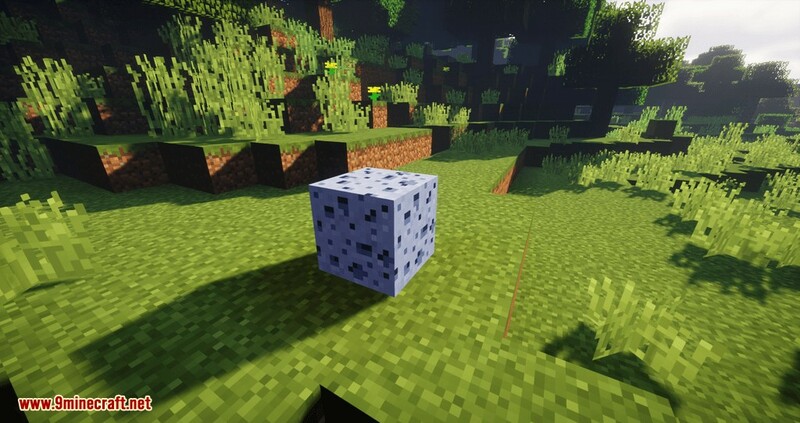 For Nether Globot, use blaze powder instead of the diamond. 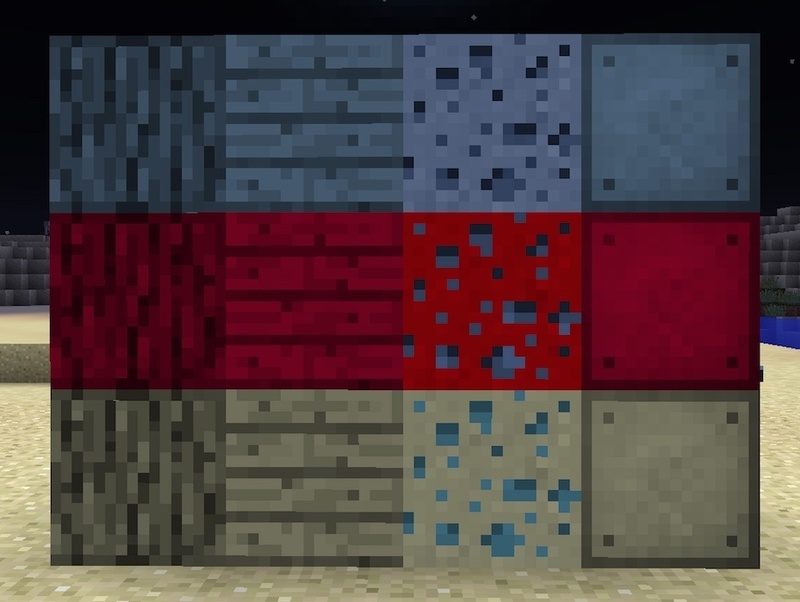 For End Globots, use blocks of diamond, gold, and iron. 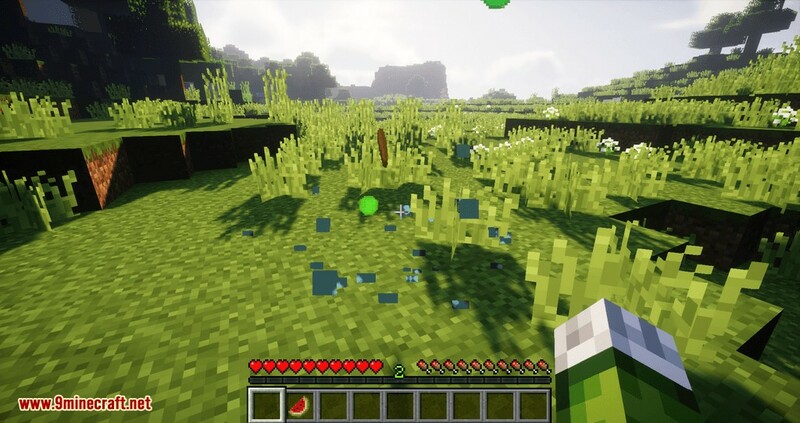 Glob Glass – a clear glass that gives off the light and only allows players to pass through it. Hold sneak to be able to walk on glass. Glob Seed – can be crafted from Globettes and a Beetroot seed, used to grow Glob Plants. Nether and End Globs cannot be grown directly. 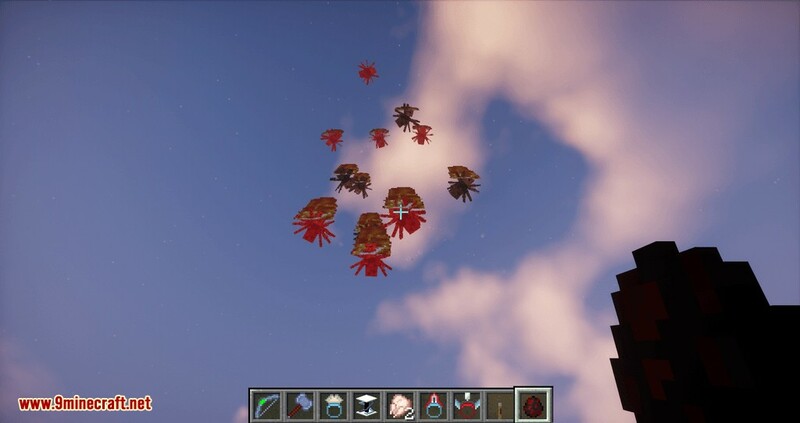 Netherwart farms can yield Nether Globettes and Chorus Plant farms can yield End Globettes. Glob Plant – a planted Glob Seed grows into a Glob Plant and drops Globette for harvest. It can be right-clicked for harvest, leaving the plant in place. Also works with auto farmers (e.g. Farmer from Actually Additions). A Gring of Growth greatly accelerates the process.